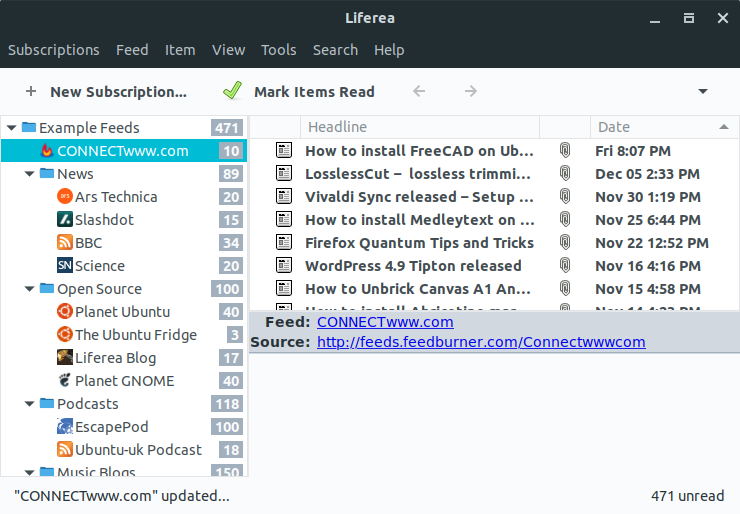 Liferea is a free open source feed reader for Linux system. It supports RSS, Atom and OMPL feed formats. Just add your feed/subscription and read it offline. it supports InoReader, TheOldReader and TinyTinyRSS feed reader services. Using this you can sync your feeds between different devices. It also comes with built-in tabbed web browser with Do Not Track preference, hide read feeds and ability to fetch HTML5 and AMP content for feeds that support it. To install Liferea feed reader on your Ubuntu system, just open your terminal app and type the below command in terminal and hit the enter key. Then type the ubuntu password. Then type the below command in terminal and press the enter key. 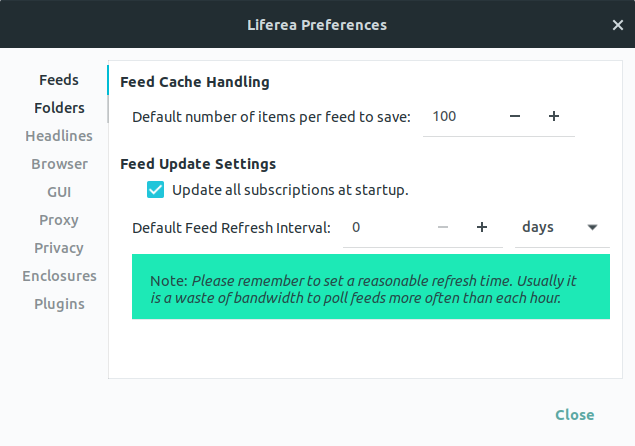 It will install the Liferea feed reader on Ubuntu. Type Y and press the enter key to confirm the installation. After the successful installation of Liferea feed reader restart your ubuntu computer.That’s it. To open Liferea feed reader, click the show applications in the Ubuntu Gnome dock and type Liferea in the search box and click Liferea. If you want the latest version of Liferea, then you can install it via the PPA. Type the below command and hit the enter key to add Liferea PPA to your repo. Type your Ubuntu password. Then press the enter key. This will add the Liferea feed reader’s PPA on your system. Then run the below command. After that type the below command and press enter key to install Liferea feed reader on Ubuntu. Type Y and press the enter key to confirm the installation.